Getting Ready for Easter? Get some of these Eggs. 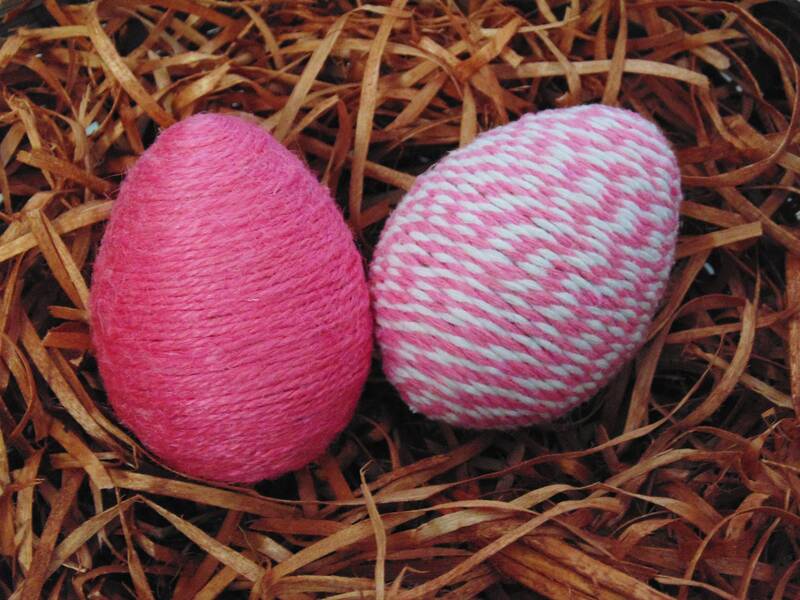 Fiber Art Eggs in Pink and White! TWO EGGS IN THIS SET!! Approximately 3 inch eggs- just about the same size as the real ones! Hand wrapped with Natural sisal, jute, and cotton cording- DECORATING IS DONE! Great for the KIDDOS EASTER BASKETS! Add some marshmallow chicks, too, because they love them! Maybe you have a special BASKET of your own that needs filling! A great gift for someone special who LOVES EASTER!